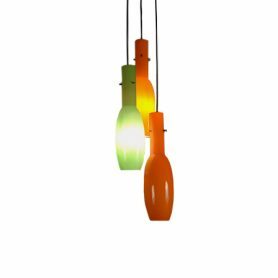 Glass chandelier by Vistosi is a suspension lamp that presents three precious diffusers in colored glass (orange and green). It is a 50s model that represents the high quality of Made in Italy furniture. This lamp is deal to colorate your home. 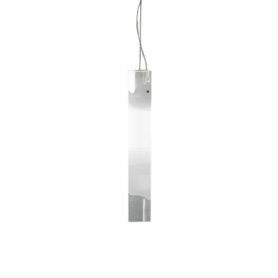 Lio SP 60 di Vistosi is a suspension lamp with an elegant design and a simple shape. 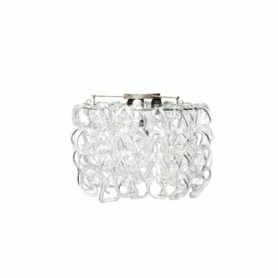 Made of precious Murano glass, it is the perfect piece of furniture to illuminate any environment. Vistosi is a Venetian company that produces decorative blown glass lighting. They had collaborated with famous designers such as Gae Aulenti, Vico Magistretti and Angelo Mangiarotti. 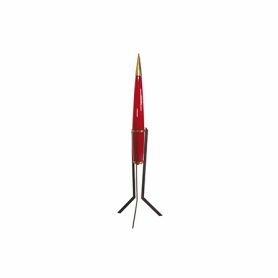 This floor lamp by Vistosi is a vintage decorative lighting element with an ‘explosive’ style. Vistosi is a fine Italian glass maker which has its roots from blowing glass on the island of Murano, near Venice. Each glass piece is mouth blown and ranks to the highest standards of the venetian Murano glass industry. Giogali AP2 is a wall lamp designed by Angelo Mangiarotti, part of the lamp collection featuring a hand-crafted design with crystal details adaptable on a metal structure.